Anyone who says that losing weight is a painful experience, doesn't really understood how to lose weight. Yep, it does require exercise - which so many people abhor - but exercise doesn't have to be a horrible experience, because there are plenty of fun options available. I for one, have never set foot in a health club, don't have a home gym, haven't used a personal trainer, yet I managed to lose 70 pounds. Some secret diet or magic pill? Nope, just a balance between calories in and calories out. My main exercise of choice has been walking, which grew from a tiring 15 minutes per day, three days per week, to a fast paced 5 miles per day, six to seven days per week. The key is finding great places to walk that have enjoyable views among other things. 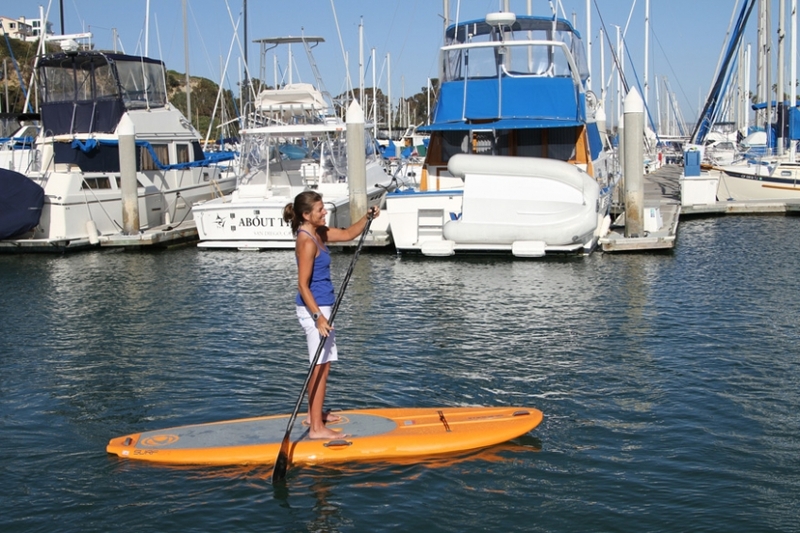 And now I have added yet another fun option to my exercise choices - Stand-Up Paddleboarding (SUP). For the uninformed, SUP involves an over-sized surf board and a long paddle, and of course some water. But this week, I finally had the chance to get a real taste of paddleboarding. 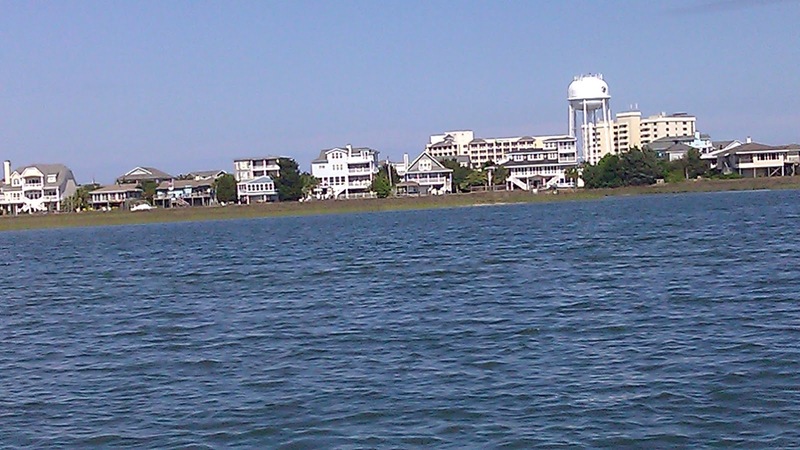 I launched under the drawbridge at Wrightsville Beach, NC and headed up the waterway to Lee's Cut. A mile later, against the wind and tide I finally made it to the Salisbury Street bridge. Then it was time to turn around and enjoy some extra speed courtesy of flowing with Mother Nature instead of against. On the return route I steered over some shoals, where the water was only 1 to 2 feet. It was so clear you could see the bottom, where there was a variety of sea life such as crabs and small fish flitting about. At one point I startled a sizable flounder who quickly broke loose from his perch on the bottom and glided away to find a more secluded spot. It was great ride, very peaceful with just the sounds of the gulls, and the paddle breaking the water. And of course, the views were fantastic. And even better, with all the arm action, it was definitely a calorie burning experience! In fact, when I went for speed, I could feel a lot of muscle action in my legs as well. So I realize this is not a sport for everyone and it does require equipment and location, but it's a great example of making weight loss fun and enjoyable, so that you look forward to your exercise regime rather than dreading (and avoiding) it. If you haven't been successful with weight loss, its probably because you are approaching it entirely wrong! Wanna Lose Weight? - Got 20 Minutes?